Today on CTWorkingMoms.com I’m posting about Valentine’s Day. This holiday never really stood out for me and then just as I finally started dating someone in high school and had a chance to really celebrate, a classmate passed away unexpectedly on Valentine’s Day. It just didn’t feel right to celebrate anything and we’ve never really done so since. Also, our wedding anniversary is the same week, so we tend to just focus on that. We don’t really make a big deal out of that either. Now that M is getting old enough to understand holidays, it’s been really fun starting to really celebrate. As you’ll see in the other blog post, we’ve done some really fun things. 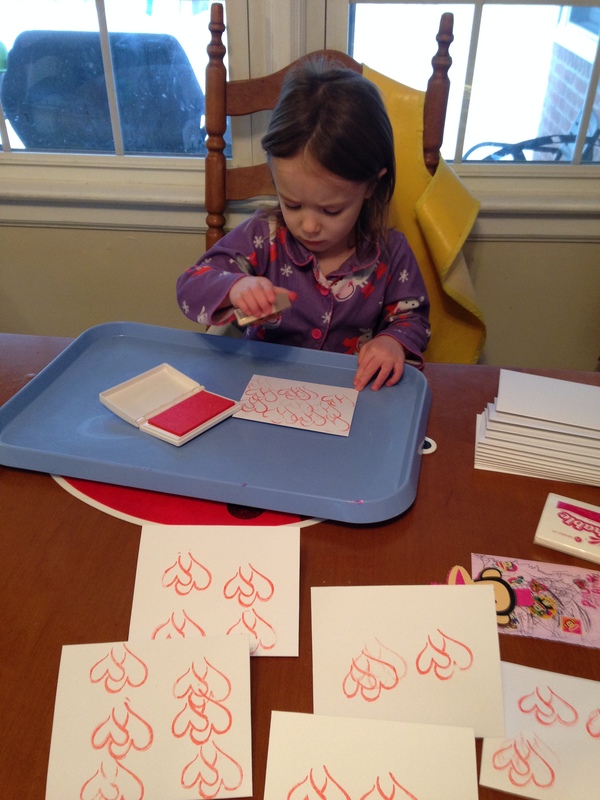 We made our own Valentines this year with stamps! 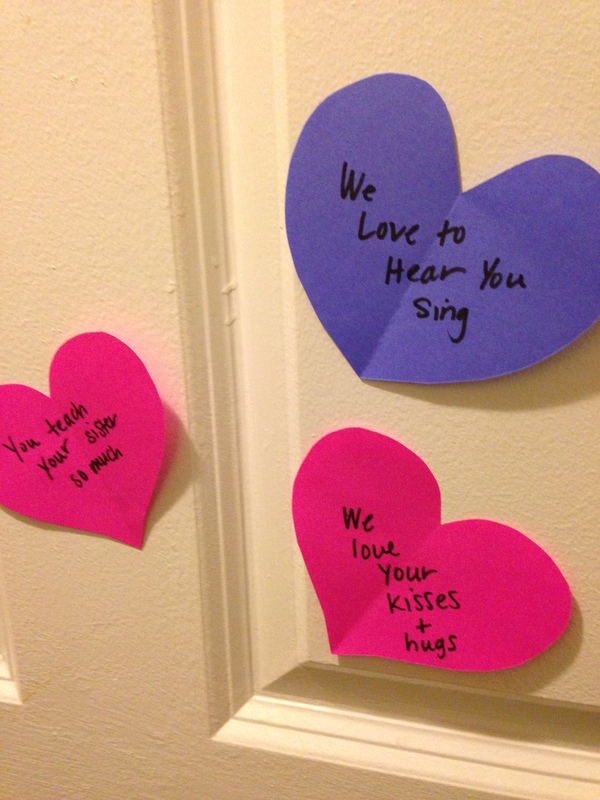 I’m putting a heart on their door everyday for the week leading up to Valentine’s Day. On each heart I share a positive thing about each girl (thanks again Pinterest!). 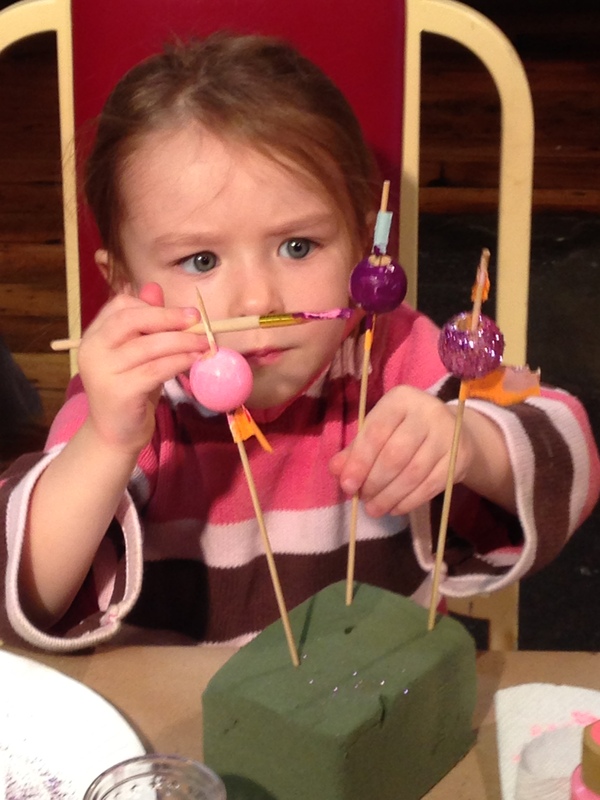 We went to a super fun kids’ craft workshop where we painted wooden beads and made Valentine’s necklaces! The workshop was held at a super cool carousel museum. M didn’t even know what this was, so we had a lot of fun watching videos of carousels before we went. 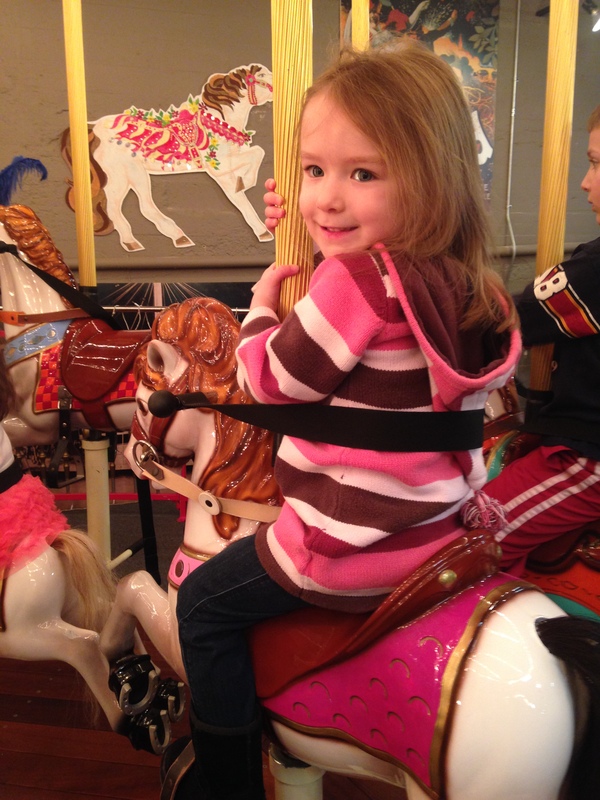 She was really excited to ride one for the first time.